I made this anklet for myself and I wear it a lot now. It is made from black cotton thread and dark green colour lace yarn of blended mink (70%), merino (20%) and silk (10%). The cotton thread is size 8 and the mink blended yarn is lace weight. 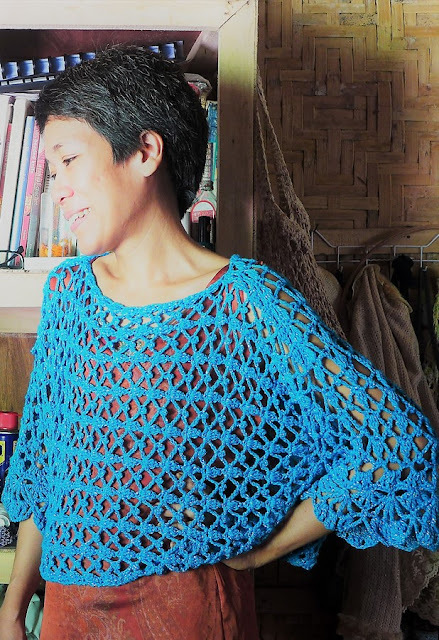 I used 1mm crochet hook. After several weeks, the mink blend yarn started to “bloom” and the result is an amazing difference in texture between the cotton heading and the lace edging – sharp vivid texture of cotton and fuzzy texture of mink. Here (below) is the crochet pattern schematic for the anklet. You must start with the cotton thread heading, a chain in multiples of 12 +1, a length that is a bit longer than your ankle measurements since you will be using an elastic later to fit. You can opt to use ties or buttons if you prefer. I decided not to crochet this in the round. 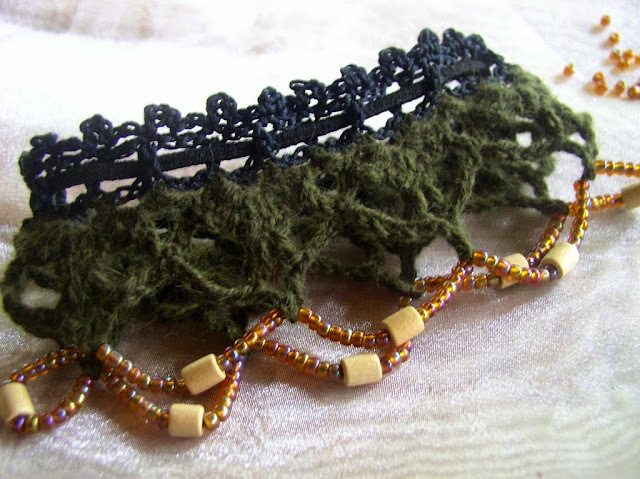 Instead, I crocheted this as a lace strip then sewed the ends together. I wove a black elastic through the holes in the heading and sewed the ends of the elastic together. Then using the same mink blended yarn, I made the bead decoration. I used antique-bronze style glass beads and wooden cylinder beads. The result is a beautiful bohemian piece of jewellery which goes quite nicely at the hems of a long flowing skirt. 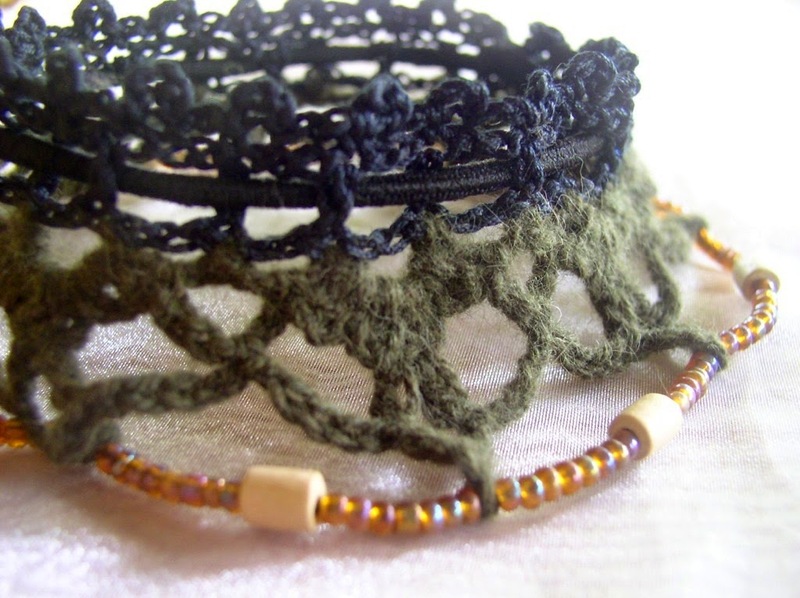 I call this anklet “Black Forest Lace” because the colours remind me of the deep hues of the pines forests in Europe.